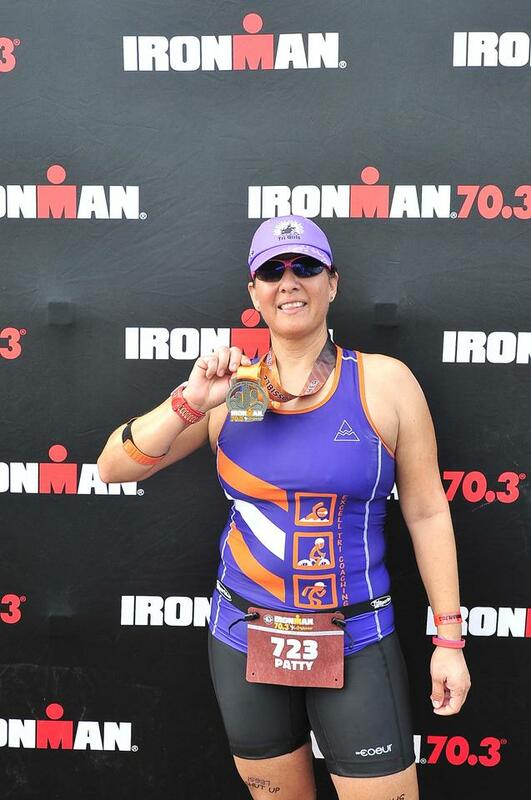 It took moving to Tucson in 2013 to get me to try triathlon. My first event was a sprint, the Holualoa Tinfoilman Tri on the University of Arizona campus. I had so much fun that I immediately (well, after some chicken and waffles and maybe a beer) signed up for an Olympic-distance event, Patagonia Lake Triathlon, which was in its first year. The next year, I did Easy Peasy Lemmon Squeezy and discovered a couple important things: I LOVE climbing (and am terrified of descending, but working on it), and my husband Chris is the world’s most amazing Sherpa. A couple cross-country moves (back to DC, then back to Tucson), many Olys, a couple of halfs, and some trail races (including a trail marathon…shoot, guess I *do* like running!) later, it’s safe to say I’m hooked. This May I’ll be taking on my biggest challenge at Ironman Santa Rosa. I’m only a little scared! Things about triathlon that bring me joy: finding the biggest, best public swimming pool wherever I travel to; grinding out simulated miles on my trainer while watching awful TV; turning triathlons into awesome mini-vacations with my husband and dog…and, last but far from least, running into familiar faces at random events – TTG are legion! I love how supportive this group is, whether you’re a regular face at all the meetings and events, or can only show up occasionally; whether you’re just getting your feet wet or looking to crush a new distance or pace. I started racing in triathlons only a few years ago after saying I would never do them. I’ve been a runner for over 15 years but never ran competitively. Although I’ve completed 1 marathon, 19 half marathons, numerous 5ks and 10Ks, I never knew how to race efficiently. In fact, my very first race was a 5K in New Orleans, and I had no concept of pace or hydration and wore some trail running shoes that were too small but “looked pretty”. Had you asked me to ride a bike 4 years ago, I would have said no let alone swim more than 10 minutes. I finally gave into peer pressure and did my first tri in 2015 (Tri for Acts of Kindness). I was hooked! I participated again in 2017 and placed 2nd in my age group! 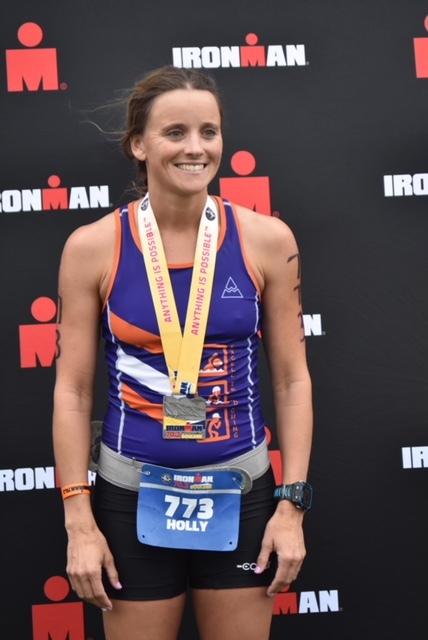 I started working with a coach in Jan ’18 to prepare for my first Olympic tri (Deuces Wild) and met some fellow triathletes who were training for half ironman races. Once again, peer pressure (and envy) gave in, and I signed up for my first half ironman. 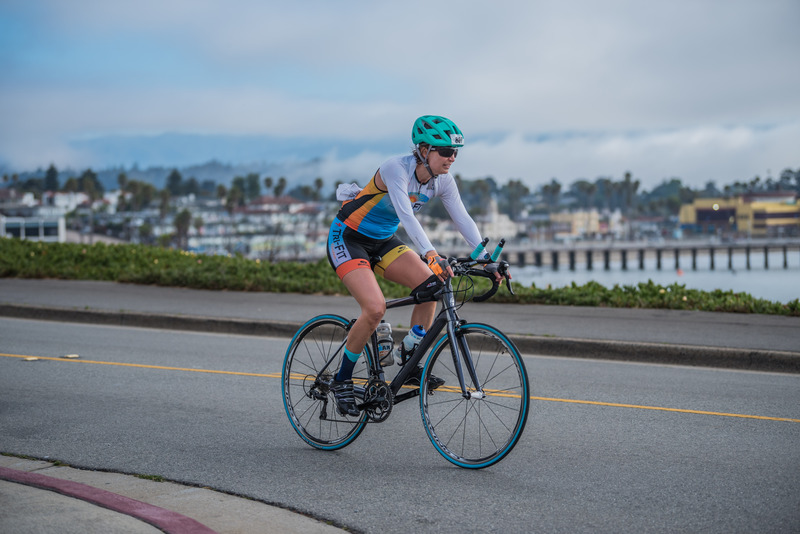 In Sept. 2018 I completed a race that I would never have thought I would even sign up for let alone finish…Santa Cruz 70.3. I joined TTG a few years ago after participating in the Easy Peezy Lemmon Squeezy and have met some amazing women who love the sport. My company, 26 Point 2 Designs, is also a 2018 Sponsor. I love the fact that TTG really encompasses all women at all levels and abilities and provides many opportunities to learn more about the sport through well-supported events and workshops. I’m planning more sprint and Olympic distance triathlons in 2019 to get stronger and more confident. Maybe you’ll see me at another 70.3 in 2020. Why do I tri? I don’t think I have one reason, I think is more like a lot of reasons to do it. 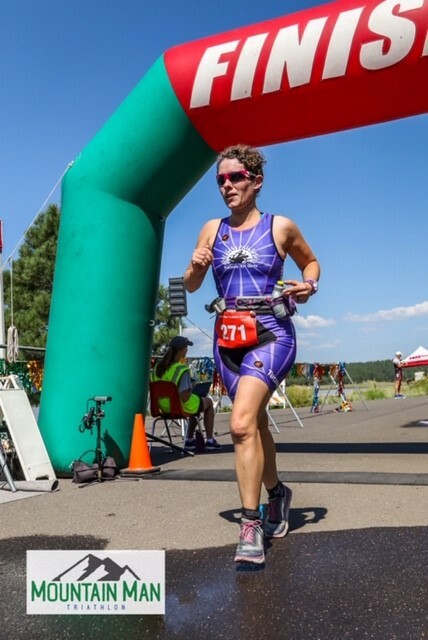 A little background about me and Triathlons: I learned about triathlons in my college days when I used to come to the UofA to see my uncle compete in the summer. I use to skate (skating is what I call the 4th sport now) the running portion with him and the best part was eating bagels at the finish line. If somebody back then told me I would be doing triathlons, I would have said no way, I don’t know how to swim, I haven’t been on a bicycle since I was a kid and I hate to run. Years later I got a road bike. Some of my cousins came to do El Tour de Tucson and I decided that I could do it too. So I trained myself to complete the 30 miles race in 2000 and 2001. After that I became a couch potato for a while (more like 10 years). That was also after I had my daughter and to be true she is actually the reason why I started doing Triathlon. She started doing triathlon before I even considered doing one, but with me taking her to races I learned about the TTG and met coach Robin. So one day I just thought why not, I should try to do a triathlon, so I joined the TTG Nov. 2015 and I started training myself for the following March race but that didn’t happen because I didn’t feel ready. I kept training and I did the one in July and it felt like I was going to die. So I needed a coach if I wanted to continue and I knew one, so the rest is history. Since I joined the TTG I have got to meet and train with so many amazing people, actually I found my second family, with my Tri Family. My first tri was Oro Valley July 2016 and since then I have completed several Sprint and Olympic Triathlons, and last year after a group discussion for the races for 2018, it was the year to try a HIM (Half Ironman). So my first HIM was 70.3 AZ, It was a full year of training and I can say that literally, a full year, I trained with my friend Izzie for her HIM in July and while she did her HIM, I was climbing Mt. Lemon all the way to the cookie cabin for the first time, it was awesome to know I could do that. My HIM was October 21st, that was an exciting day to see how far I could push myself. The swim was awful, I hadn’t practiced enough with my wetsuit I suppose because I had to stop and undo my wetsuit, my swim was so slow but I wasn’t going to let that make me feel bad, the bike leg was good until the wind started in the second lap, then it was pretty bad, by the time I was done with the bike, my back was hurting so bad that I had to stop at transition and do some stretching. The run was not my best, but not my worst. After a couple of stops to stretch in the run, finally I was in mile 9, for me that is the magic number, after that everything was like, “I got this”. The full experience was awesome, the best thing was having my friends and family supporting me at the race and from far away. So, why do I tri? Because it makes feel good, it keeps me in shape, it is a social sport, it is fun, it shows me my limitations, and, more important, my strengths and I can eat and drink all I want, ok not all but very close, so like I said before there is a lot of reasons why I tri. Why did I join TTG? I had first heard about TTG through my coach, Robin Kreamer, in the beginning of 2017. She was coaching two other ladies at the time (Brenda Sparks and Amanda Younger) who would always speak about the great benefits of being a member. 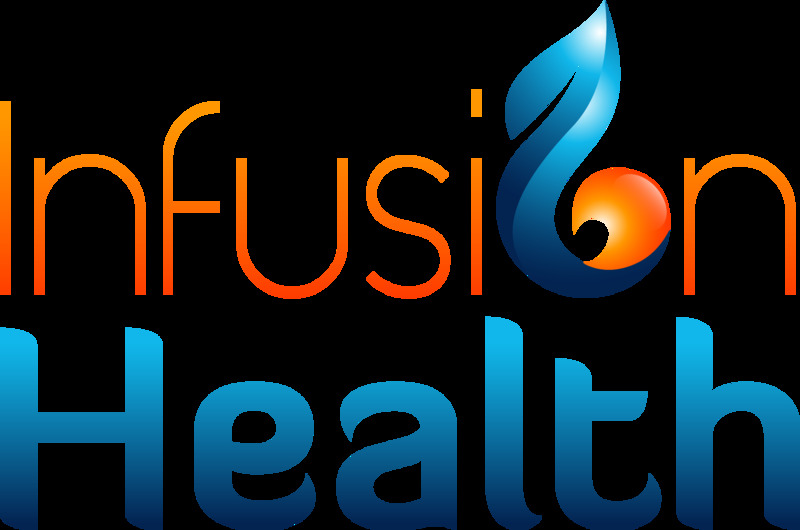 I heard the organization had world class athletes speak at meetings, triathlon business owners discuss specific wheels, bikes and gear to use, nutritionists on hand to help with nutrition for races, and many other experienced individuals to talk to. 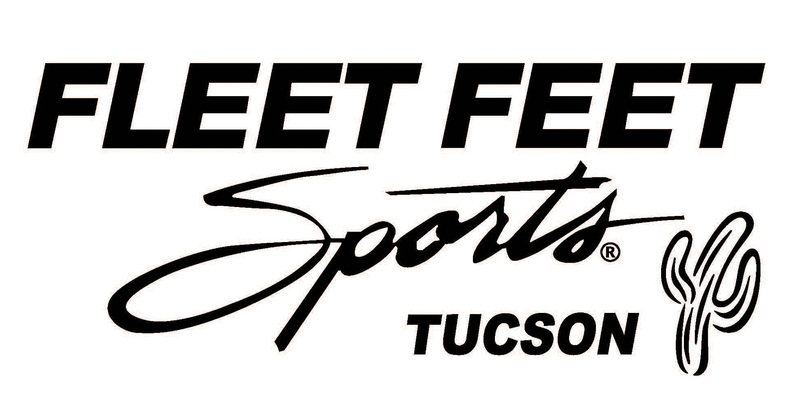 I also heard about discounts for races and team support you would get at races in the Tucson area. So, that August I decided to join TTG! The most important part of joining the team was to share experiences of races and to train with them and head toward a common goal. My goal was to complete a half ironman! 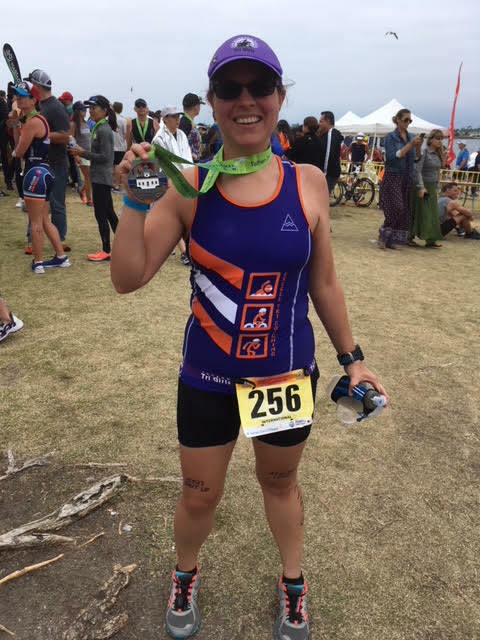 What got me started in triathlons? I actually picked up triathlons in 2010. I started getting bored of just running all the time. Running was my saving grace after college sports, but then I started to see that desire fade. I knew it was time to mix things up. I was friends with a U of A swimmer and he taught me how to get faster at swimming and gave me plenty of workouts. I really started to enjoy the water so I began participating in the summer aquathlons at Quincie Douglas pool. From that point I met some great triathletes including Michelle and Scott Keillin. I surrounded myself with triathletes and absorbed as much information as I could from their experiences. I then signed up for the 1st “Tri for Acts of Kindness” triathlon. I had a blast and learned quite a bit from it. Since I had so much fun at that triathlon I decided to register for the UA Holualoa Tri series Tinfoilman. I really loved that race and the best part was taking 2nd in my AG. I realized I wasn’t so bad at the sprint triathlons, so I participated in the following Tinfoilman and the firecracker in 2014. I loved the challenge and realized I needed to put myself in an olympic distance and see how it goes. I participated in the Sahuarita Twisted Cactus Tri in 2016. That race did not go so well, but I was still proud of myself for going that distance, and it made me more motivated to “tri” the race again in the future. Since then, I have completed 2 more olympic distance triathlons and many sprint distances. What has been my biggest traithlon accomplishment? My biggest accomplishment was completing a half ironman this year!!! I recently finished the 70.3 half ironman in Boulder, CO. I could have not done it without my coach and my team. They were my biggest supporters and are also on the road to their first half as well. If it weren’t for the great ladies I have to train with I don’t know what I would do. I felt so comfortable and confident going into this race, that I knew I was going to crush it. I finished in 6:26:00 and that was better than I could have expected for my first 70.3. Do you see more Half Ironmans in your future? Yes, I would like to travel somewhere new with cool temperature and nice scenery. What has been a big takeaway from being in TTG? I would say, sharing experience and knowledge with the women who are also working towards their triathlon races. I have grown to love this crazy sport and we are all able to share our experiences to one another about it. I love knowing I am not alone and that we all have found unique ways to work through training, nutrition and quicker transitions. This group has become my crutch for what I love to do outside of working and the stressors that occur in life. I have enjoyed social events and meeting up for workouts with these lovely ladies. I started participating in triathlon events in 2015 for the Esprit de She in Tempe. Why? A friend told me “It will be fun, and I think you will like it”. Those always seem to be the famous last words. Having never been a strong swimmer and not ever taken formal swim lessons, the quarter mile swim for that first triathlon seemed daunting. However, with an overall time of 01:00:16, my friend was right, I liked it. I did another race in 2016, but figured that would be my last since I was starting to prepare for the end of my graduate program. At the end of 2016 my graduate work was wrapping up and the dissertation writing stress was starting to freak me out. I needed to find something to keep my moving and to allow me to focus on something other than my dissertation. I don’t remember where, but I had gotten a TTG handout but hadn’t really considered joining. I stumbled upon that paper, looked up some information, and saw that the spring swim coaching would be starting in early 2017. That seemed like the best way to solve my problem. Early morning swimming and the location on campus was perfect. I joined TTG at the January 2017 meeting and started the swim coaching shortly after. At this point I still didn’t think that I would be participating in any triathlons, but I was learning so much about swimming and I learned that I really enjoyed being in the water. I think it was around May, when swim coaching was ending, that I had started to think about participating in more races. I signed up for the October Oro Valley Sprint and the Patagonia Olympic Distance races. Then, everyone I knew started to sign up for 2018 races. Somehow in all of the talk, I was signed up for 1 sprint, 2 Olympics, and a Half. Yes, I was jumping full in and participating in one of those races I thought crazy people did. Guess that means I am crazy too. My Half Ironman was July 28th in Santa Rosa, CA. Sadly the swim portion was scrubbed due to unfavorable conditions. The rest of the race was amazing, scenic and beautiful. An ideal venue for my first half ironman race. Before the race, I thought I would be done. I would be trained out. Two days after the race I was looking for where my next one would be. I guess you can say I am still hooked. I have learned so much from everyone in TTG. Amy Orchard is a beast on the bike, Robin Kremer kills it in the swim, and Donna Pierson is an inspiration for the run! I am thankful to have TTG as my support group. Queens also earned the men’s club title, while Cal took the women’s crown. With Queens' Mixed Relay victory reinstated, the Royals earn the overall Collegiate Club Nationals title. More than 500 run-bike-run specialists competed Sunday, April 14 in Greenville, S.C.